MILENA KALISCH SLOGGED THROUGH 5KM OF SNOW, MUD AND ICE TO PLACE 30TH AT USA NATIONAL MIDGET XC CHAMPIONSHIPS IN RENO NEVADA! WELL DONE MILENA. MILENA WAS RANKED 73RD GOING INTO THE RACE. 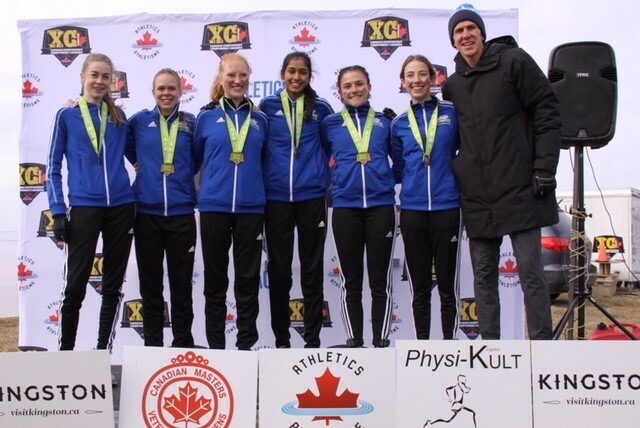 CANADIAN CROSS COUNTRY CHAMPIONSHIPS FROM KINGSTON, ONTARIO !!! Maya Kobylanski 11th and Gold medal Team BC Youth Women in the 4km. Well done Maya. Jonathan Hofer 25th in the Youth Mens 6km. Great run Jonathan in the biggest pack of the day at 262 of the best in the country. 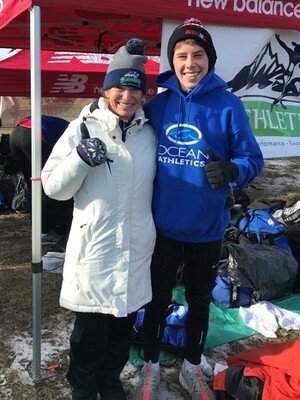 & Ocean's alumnus,Lucas Bruchet defended his senior mens 10k titlein a convincing manner as he lead from start to finish. Congratulations Lucas!! Next year, the Canadian Cross Country Championships come West to the Abbotsford course! Congratulations to Milena Kalisch for her bronze performance at the USA Region 13 Championships. Milena has now qualified for the US Junior Cross Country Championships to be held December 8th in Reno, Nevada. Way to go Milena! !